I am looking to purchase an existing auto repair and was looking for some guidance. I don’t have any experience being a mechanic or running a auto repair shop before. I will be getting some training during the transition from the current owner to handle the business side of things. There are 2 mechanics currently working at the shop and have been there for about 4 years. It looks like they make about 70k/year each, so are probably happy and will continue to stay. The seller said they service about 1700 cars per year, and their revenues are $1.2 M. Is that within the norm? Is there a way to find out if the revenues generated are from ripping people off? If I were to take over, I wouldn’t want to do that, in order to maintain the level of revenues. This is a chain shop, but the owner has been around for 40 years. What percentage of customers can I expect to lose, if they find out that the old owner has sold the shop? What is the best way for me to educate myself on the service advisor/basic mechanics so that the customer feels comfortable with my car skills. Would very appreciate your thoughts and feedback. 1: Above average sales and average per car. 2: Considering volume and a 40 year history, the odds of that are pretty slim. While there are bad players in any industry, most “facts” about auto repair ripoff are mythical. Once you become immersed in the business you will better be able to answer that question. 3: Typically customer loss would be minimal unless he was heavily personally involved with the customer base. A good reference from him about you to the customers would be great. 4: Research your many options in the directories on the left side of the home page on this site for management, advisor and technician training. Seller used to be heavily involved with customers and worked as service advisor. He also had 40 years of experience as mechanic, so was able to diagnose and help people out when he took their cars for test drive. I will research the directories for help. Without any experience in automotive you’ll want to be sure the shop is properly staffed. For example if the old owner did a lot of diagnostic work who does it now. If he writes most of the service, how does it now. Also so you said it’s a chain, what does that mean? Franchise? Are the any fees? Is is there an advertising fee for all the show that share the same type of adds? finally check the online reputation of the shop, that’s where you’ll see how customers are treated. First of all you need to educate yourself about this business and how to run it properly.This will take some time. This training will be integral to the success of the business moving forward.You also need to learn about the franchisor and how a transition to a new owner will occur.When you buy an existing franchise you will need to be approved by them before anything can progress. To walk in blind you will not survive. 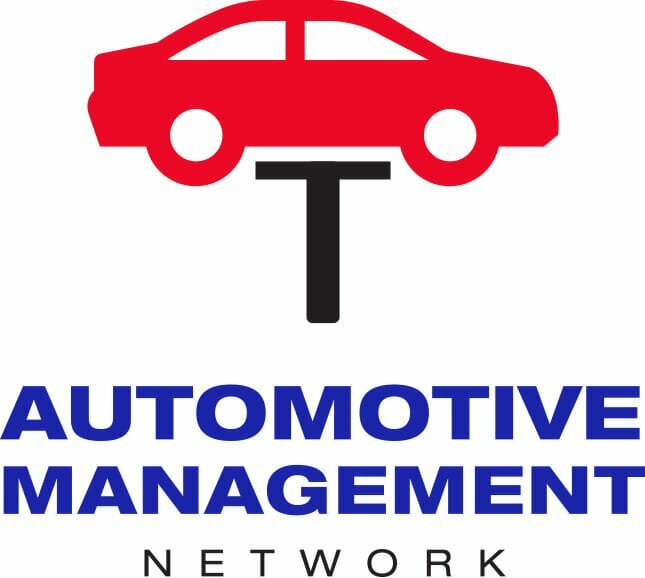 I have had personal experience with a group called Automotive Training Institute (ATI) located in Baltimore. They special situations like this. Don’t rush this process. Learn as much as you can before you commit. As far as your concern about loss of customers it can be a concern because the business is really the owner and customers are comfortable with him. This is where you need to learn how he handled them and do the same moving forward. You will also need to hire a manager who knows the business so it can be up and running quickly. This is a good volume shop so you will have to be up to speed quickly. Be ready to lose staff as well. Sometimes they will resist change with a new owner. Don’t assume they will transition easily. Without any experience in automotive you’ll want to be sure the shop is properly staffed. For example if the old owner did a lot of diagnostic work who does it now. If he writes most of the service, how does it now. Also so you said it’s a chain, what does that mean? Franchise? Are the any fees? Is is there an advertising fee for all the show that share the same type of adds? based on your numbers, the Shop has over a $700 average repair order, that is very good for general repair, more along the lines or a European Shop and will be difficult to duplicate without experience finally check the online reputation of the shop, that’s where you’ll see how customers are treated. Yes its a franchise chain. You are right abou staffing. The owner did the service adviser and preliminary diagnostics I think. There are 3 other techs but none of thm are licensed. I am now also reviewing another shop that is an independent. Will put a separate post about it when I have all the info. Thanks Bob. Will get in touch. Cheers. ” There are 3 other techs but none of them are licensed.” Major Red Flag ! Jay, I would suggest you work in that shop for at least a month before you plop any of your money down. The other suggestions to seek help from training companies such as ATI is great advise. Don’t let anyone pressure you into buying before you are ready. This is such a big gamble in my opinion, automotive repair sounds really cool ( and it is ), but there is so much to learn. And the learning never stops if you want to keep up with the good shops. You’ve received some great advice here that you should definitely heed. I have some questions to ask so I better understand your position. What’s driving your decision to purchase an auto repair facility? What’s been your work experience up to this point? Is the owner of the business the current advisor? Is the owner still diagnosing vehicles? These are important questions because unlike the majority of us that started or purchased a shop, you don’t have the experience or ability to perform these tasks so having the infrastructure in place for you to start is crucial. As far as buying any business goes, you’ll want to see a number of reports out of their shop management system as well tax returns for the business covering the last four to five years. You may need to sign a Nondisclosure Agreement before these things will be provided. You need to see this information to be sure the business is healthy enough to support the loan payment, your pay, and still be able to save money. If the business is a franchise, you’ll need to be approved before you purchase but should be able to receive training from them to get you started. There are some great training programs out there and I’d be happy to speak with you about your options when you’re ready. Besides the business data, you’ll want demographic data of the community the shop is serving as well as digging in online to see what kind of reputation the shop has. like it was Said, those numbers are a little high, 1.2M sales/ 1700 car/ROs puts you average ticket at $700. ? There have been many good suggestions so far. One thing I’d like to comment on from personal experience is the percentage of customers you may lose in the process. I’ve seen in 2 examples, one of my own shops and another shop I coach, that you may experience a drop in business sales and customers of 20-25%. Often it depends on the “face of the company”, does it change? If the service advisor remains and he/she is the person the customers have been used to communicating with, there may be very little adverse issues. If that person leaves, all bets are off. No matter how much you try to stay the course with what the previous owners were doing, things are perceived different. This is where you have to really be on your game to deliver exceptional customer service. And even then some customers will leave to try other options for service. This is not meant to discourage you, just a realistic view to be aware of. Jay, Firstly I would recommend getting a very good banker and accountant involved. Not having a working knowledge of the business is not a huge problem, but it threatens you to become prey by your employees and customers. Will the current owner stay on for a period of time? Is it possible for you to work in the business before buying it? Are you purchasing business and property? Since it’s a chain will they provide training and financing? Use caution, and keep asking questions, best wishes. For purchasing an auto repair shop seek help from a loan shop if you doesn’t have enough cash to buy it.